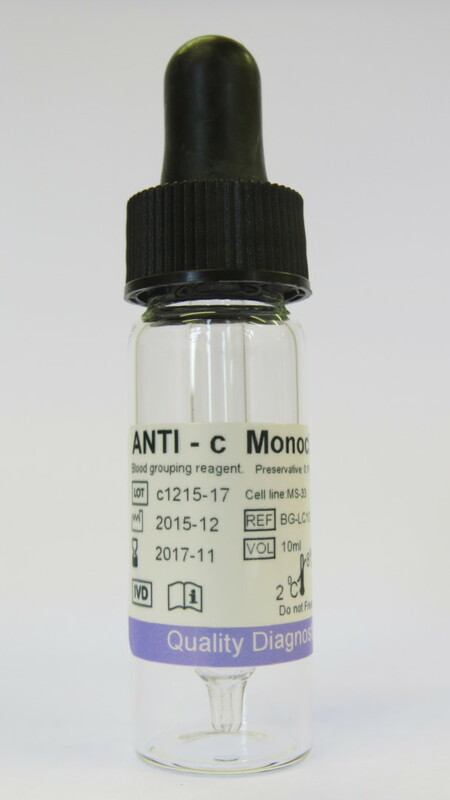 Anti c (little) Monoclonal Blood Grouping Reagent for the slide, tube and microplate techniques. by slide, tube and microplate techniques and are designed for use by operators trained in serological techniques. The test procedure is based on the principle of agglutination. Red cells possessing the specific antigen will agglutinate when tested with the reagent (positive test), when used by the recommended technique. Lack of agglutination of red cells demonstrates the absence of specific antigen (negative test).